If you want capacious rear-cabin room for people and cargo, this is your truck. With a limo-like 44.2 inches of rear-seat legroom and 71 cubic feet of cargo space with the seats folded, the 2008 Dodge Ram Mega Cab is the King of the Hill. 2008 1500 Dodge quad cab hemi. Problems: power steering went out. At purchase bought platinum coverage, that covered repairs and I had a rental. Performance great, I push the gas and it goes. It is a hemi, I pull a 23 ft travel trailer anywhere I need to go. Under the hood it has four radiators for cooling everything. Comfort: it carries six adults and I use the pickup to help people move and it helps me go to the dump once a month. I feel safe being height off ground and having more steel all around me. Features: power locks and power windows. Hauling bottom for lower gears. I have owned one Ford 73 six cyd., three Dodges. The lifted body of the truck is awesome for backcountry camping! The vehicle handles great, comfortable on the road. The only issues I have had at the main ones, needing new brakes, a couple of belts, new tires. I did have a problem with the thermostat inside the truck not heating anything up but once it was replaces everything was fine again. The heated seats and DVD player are great perks especially on long road trips. All around I love the vehicle, it has held up great through all the wear and tear I have put it through, from out of state road trips to off-road camping. The truck is great and I would recommend it to anyone! Very reliable and dependable truck, it was built to last. I owned a Dodge Ram 1500 for 6 years and only have had minimal problems with the truck, I had the water pump replaced 2 years ago. The truck has a lot of room even though it is a standard cab. It is equipped with power windows and door locks, am/fm stereo with cd. It has a v6 engine but has excellent power and towing capabilities. The ride and handling is very smooth. I am a do it yourself type of person and can perform most maintenance and repairs, all mechanical components are easily accessible. I love the Dodge truck. 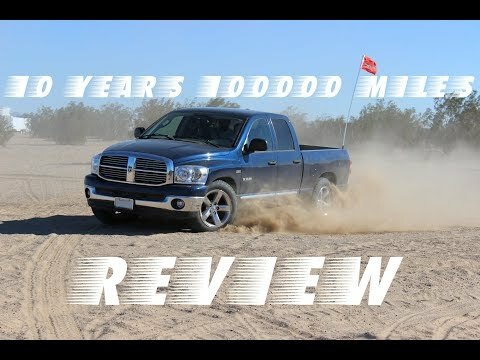 2008 Dodge Ram 1500 Quad Cab Laramie 4x4 Review. FEDERAL-MOGUL IS RECALLING CERTAIN CARQUEST AND NATIONAL BRAND WHEEL HUB ASSEMBLIES, P/NOS 515073 AND 515073, SOLD FOR USE AS REPLACEMENT EQUIPMENT ON MODEL YEAR 2002 THROUGH 2008 DODGE RAM 1500 PICKUP TRUCKS. THE INBOARD ROLL FORM USED TO MAINTAIN THE HUB ASSEMBLY CAN FATIGUE RESULTING IN NOISE AND/OR WHEEL SEPARATION ON THE TWO WHEEL DRIVE (2WD) APPLICATIONS. THE RISK OF THESE ISSUES DO NOT OCCUR ON THE FOUR WHEEL DRIVE (4WD) APPLICATIONS, AND INSTALLATION ON THE 4WD APPLICATIONS ARE NOT PART OF THIS RECALL. FEDERAL-MOGUL WILL NOTIFY OWNERS OF RECORD AND TECHNICIANS WILL REPLACE THE AFFECTED HUB ASSEMBLIES FREE OF CHARGE. THE SAFETY RECALL IS EXPECTED TO BEGIN DURING AUGUST OR EARLY SEPTEMBER 2010. OWNERS MAY CONTACT FEDERAL-MOGUL AT 1-248-354-7700.